If you are in need of top rated Macomb County Upholstery Cleaning Services, please contact Duo-Care Cleaning and Restoration at (586) 263-9930 to schedule an appointment. Click here to Follow Us on Facebook or click here to learn more about our upholstery cleaning services. Young couples are very eager to create happily ever after and super ambitious to decorate their new home and create a sanctuary for themselves. They buy furniture, paint the walls themselves, and even do some gardening work. And all this screams serenity until kids appear on the family Christmas picture. White furniture is not white anymore, carpets seem to have more food than the kitchen pantry and the worse part is there is, there is no time nor energy for detailed cleaning. Carpets and upholstery easily absorb lots of dirt from animal fur, food particles, dust and many other bacteria which can harm your health. Although we try our best to clean them, regular cleaning is not enough for removing all the dirt that is hidden deep within the gaps. Even worst, these dirties create fungus and bacteria, which can cause many health problems such as bad smell and even allergy related problems. 1. Fresh And Clean Air In Your Home – Professional cleaning companies use special industrial-strength vacuum cleaning machines for removing all the dirt, dust and dry contaminants from your carpets. Safety is also very important when deciding which cleaning technique and products to be used. Many cleaning products which are available in the stores can be toxic and dangerous. The professional cleaning companies use eco-friendly cleaning solutions and take all the necessary precautions. 2. Protect Your Upholstery – The professional upholstery cleaning companies have experienced employees who know how to properly clean each type of upholstery fabric. If a wrong cleaning product is applied to a specific type of fabric, it can cause blemishes and tear your furniture. 3. Restore Your Upholstery And Bring Its Original Beauty – Aside from removing stains and deep dirt, a professional upholstery cleaning company can restore your upholstery to its original beauty. 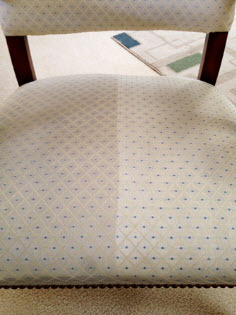 Using professional deep cleaning service regularly can help you to extend the durability of your upholstery. For experienced Macomb County Upholstery Cleaning Services, please callDuo-Care Cleaning and Restoration at (586) 263-9930 to setup an appointment. This entry was posted in Macomb County Upholstery Cleaning Services and tagged Couch Cleaners Macomb County, Couch Cleaning Macomb County, Macomb County Upholstery Cleaning Services, Upholstery Cleaning Macomb County, Upholstery Cleaning Near Me on November 12, 2018 by Duo-Care.